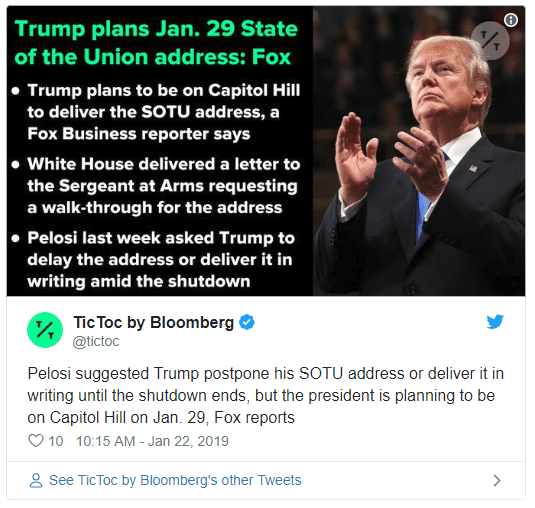 Speaker Pelosi, in a desperate bid for attention, uninvited President Trump from giving the State of the Union address last week. Donald, never to be outdone, paid her back by canceling the Speaker’s expensive trip to Europe during the shutdown. He even followed that up by canceling all military transports for Congress until the shutdown is over. Now it looks like he’s planning to burn down Pelosi’s dysfunctional Swamp and get things done, once and for all. SHARE if you are looking forward to hearing Trump’s State of the Union address! The president has more than a few options for where he can give the address. Nancy’s temper tantrum will only cut out the House of Representatives from participating. At least House Democrats. If Pelosi doesn’t back down, President Trump can take up Rand Paul’s offer and deliver it in the Senate. Or he can go to North Carolina, where the governor offered an invitation. The bottom line is Americans are tired of the D.C. swamp. They continue to play games, crippling our government and most important traditions. They don’t deserve to lead our nation. SHARE to thank President Trump for standing up to Pelosi’s Democrats!